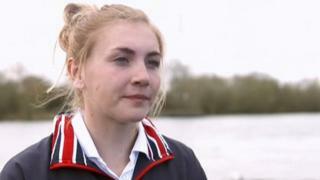 Holly Nixon looks forward to making her senior Great Britain debut alongside Kristina Stiller, Jessica Leyden and Rosamund Bradbury in the women's quadruple sculls at the first World Cup in Varese later this month. The 22 year-old from Portora Boat Club will then compete in the European Championships before the quartet attempt to qualify their boat for the Olympics at the final qualifying regatta in Lucerne in May. There are only two places available, so it's a tough ask for a relatively inexperienced crew.